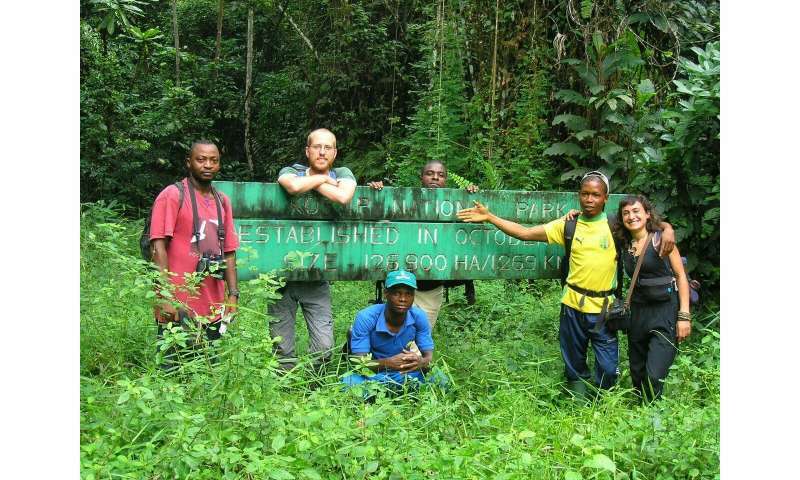 Researchers of the Department of Conservation Biology at the University of Göttingen have carried out research in Southwest Cameroon to assess which proportion of forest would be necessary to provide sufficient habitat for rainforest bird species. The results of the study were published in the journal Biological Conservation. The Göttingen team investigated relationships between forest cover and bird species richness using data from a 4,000 km2 large rainforest landscape. 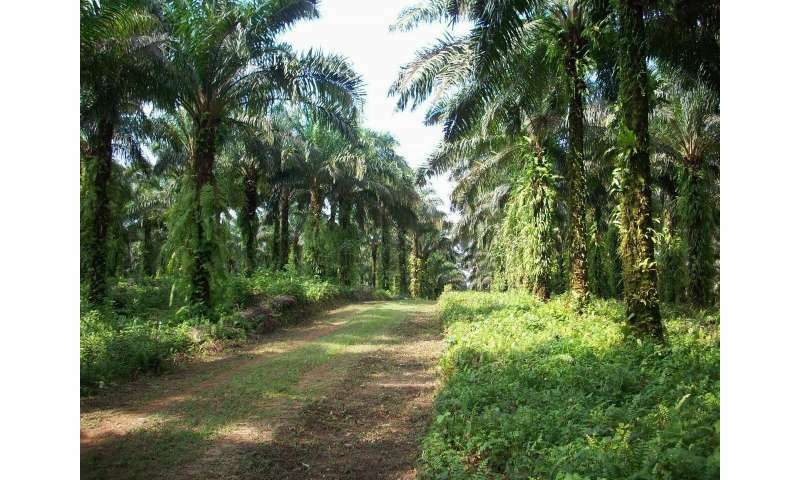 The study area contains protected areas as well as smallholder agroforestry systems and industrial oil palm plantations. The study documents minimum thresholds of forest cover in farmland below which original bird communities begin to change and where they are already dominated by species which don't depend on forest. The data suggest that forest cover ought not to fall below 40 percent if drastic losses in original bird species are to be avoided. Importantly, the study also shows that highly specialised bird species already start to decline significantly when the percentage of forest dips to as much as 70 percent; at these forest cover levels, these birds are beginning to be replaced by "generalists", ie birds that are at home in different habitats. 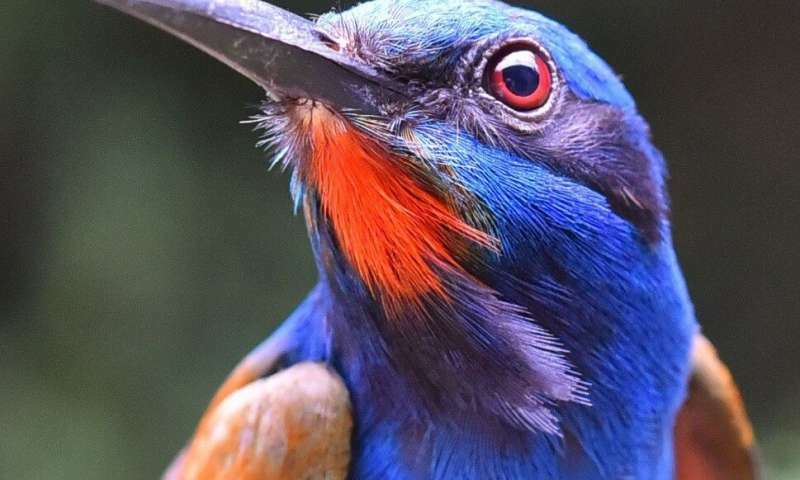 "The threshold values we are discussing here should play a role in defining strategies for conservation in tropical forest landscapes," says Denis Kupsch, first author of the study. This is particularly important because the pressure to use agricultural land intensively is constantly increasing in tropical regions. "It would therefore make sense for land-use planning and legislation in the future to be geared more to such limits in order to achieve a sustainable coexistence of industrial agricultural production, smallholder agriculture and protected area management." According to the authors, smallholder agricultural forest systems in particular, which represent a near-natural cultivated landscape and at the same time preserve a high proportion of natural forest, could play a significant role in this.